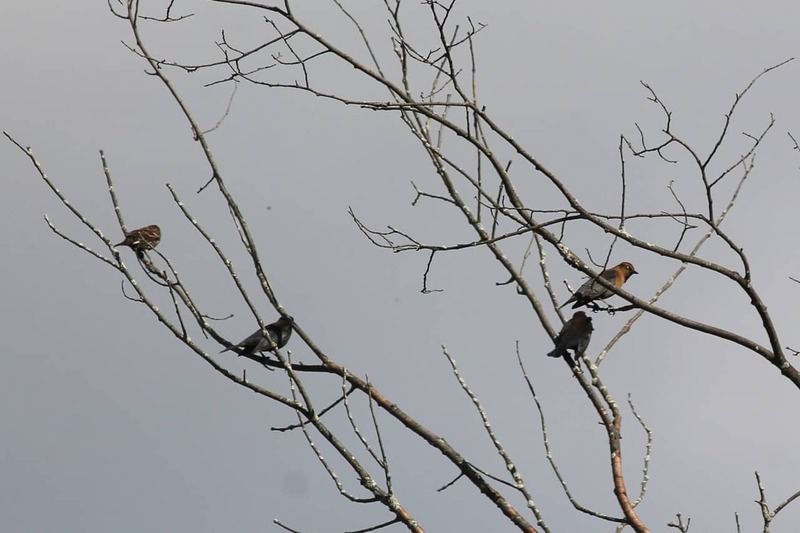 I came across this flock of Rusty Blackbirds at about 4 PM on October 4 on the Trans Canada Trail (Jackson Creek section). 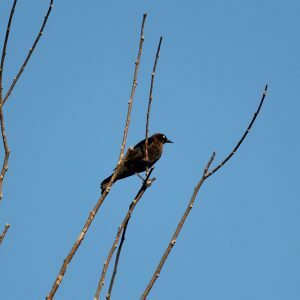 They were flying around the marsh west of Lily Lake in a flock of about twenty similarly-sized birds. 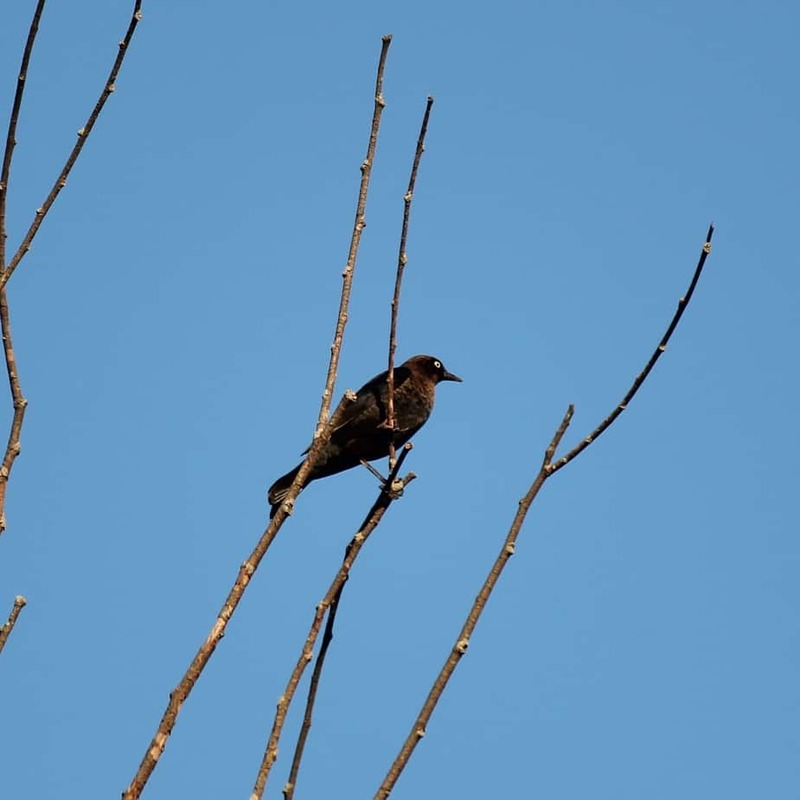 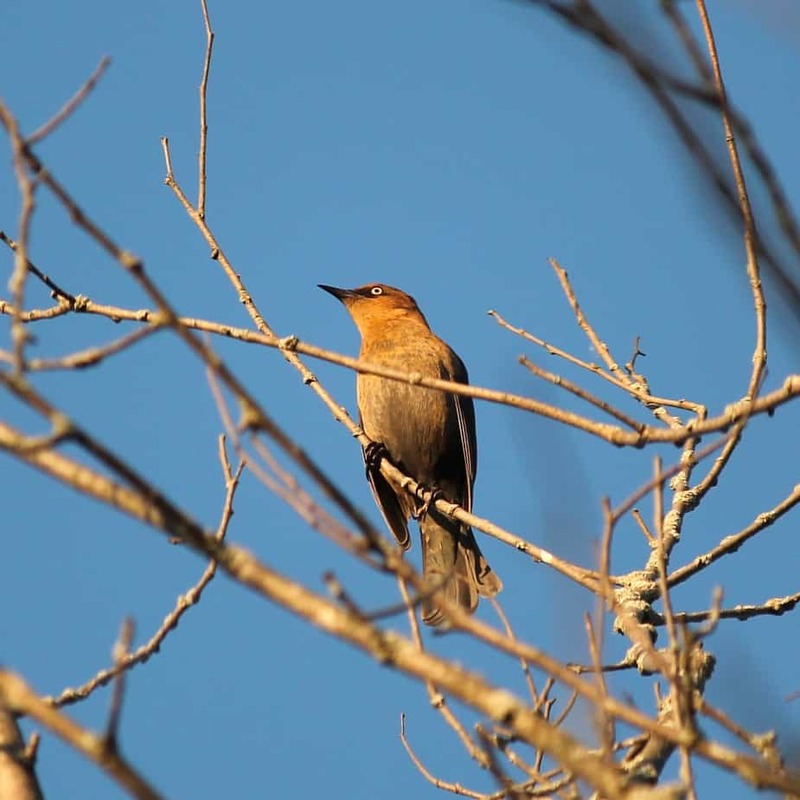 On October 7, the Rusty Blackbirds seemed to be part of a mixed flock that also included Red-winged Blackbirds and robins. 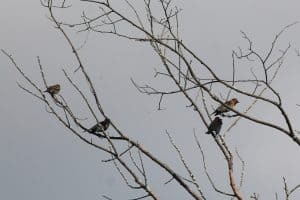 I have no idea of the numbers of each species (it was too dark to identify anything from a distance), but there were probably over a hundred birds roosting together. It was quite noisy!